For the PRO SHELF, my Downdraft does fit, with some grinding of a tab on the PRO SHELF bracket. 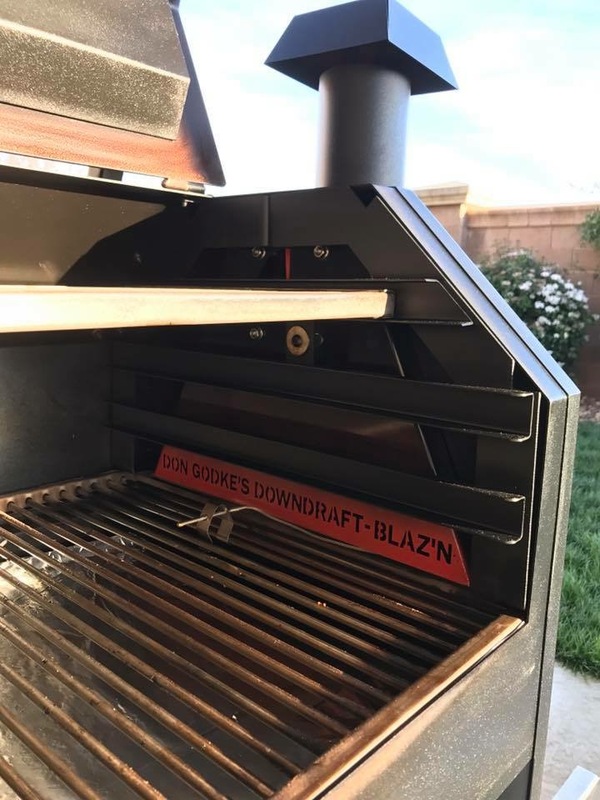 I have been using this downdraft for a few months on my Grand Slam. It definitely heats up the smoker a lot faster since all the heat is not pouring out the chimney. As others have already related that on long hot cooks you should open it up a bit or you will get a lot of back pressure and smoke will/might start coming out of the hopper. It does allow for more smoke to stay in grill so that is a huge plus for smokey flavor. Very pleased! Good solid product. After owning a Traeger and seeing the smoke that it produced, I was convinced that my Blaz'n was free burning a little too cleanly. I decided to try the downdraft to see if I could slow down the burn and produce more smoke within the pit. It has been trial and error but I used my firefighter intelligence and started relating all of this to fire ground ventilation. What works the best for me is this, I open the vent wheel at the top of the downdraft SLIGHTLY to create a venturi affect. 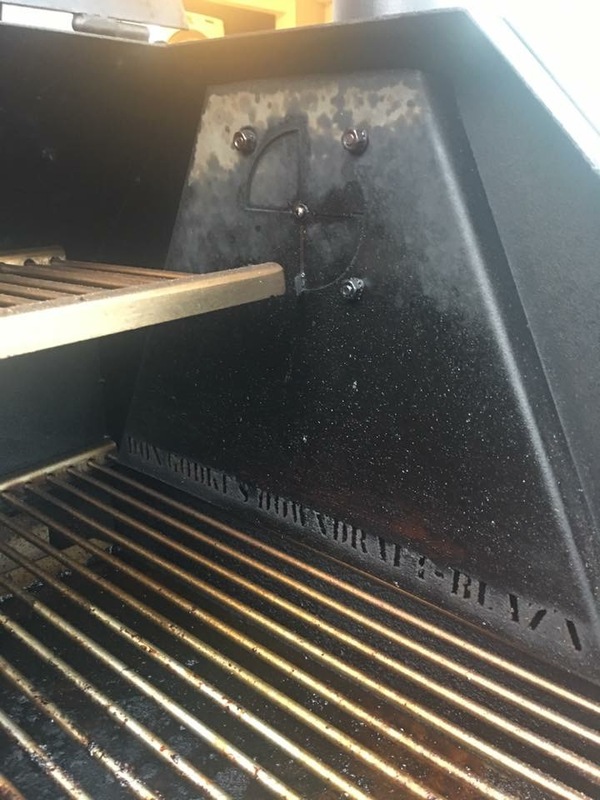 This venturi affect helps pull the smoke down to the grate level and pulls the smoke up the downdraft and out of the chimney like it's supposed to. You will have to do some adjusting on the vent wheel and see what works for you but, I have found what works for me. I think the downdraft is a fine product and I am glad that I found out about it. Click the button below to add the Blaz'n Grill Works - Grand Slam/Grid Iron - PAINTED STEEL to your wish list.